Initially set to take place tomorrow, April 8th, the WBO bantamweight final eliminator between current WBO #1 and Asia Pacific bantamweight champion Arthur Villanueva and former IBF super flyweight world champion Zolani Tete has been moved to April 22nd. “Schedules change all the time. As fighters, we have to adjust," said Villanueva when asked if the change poses a concern to his training. 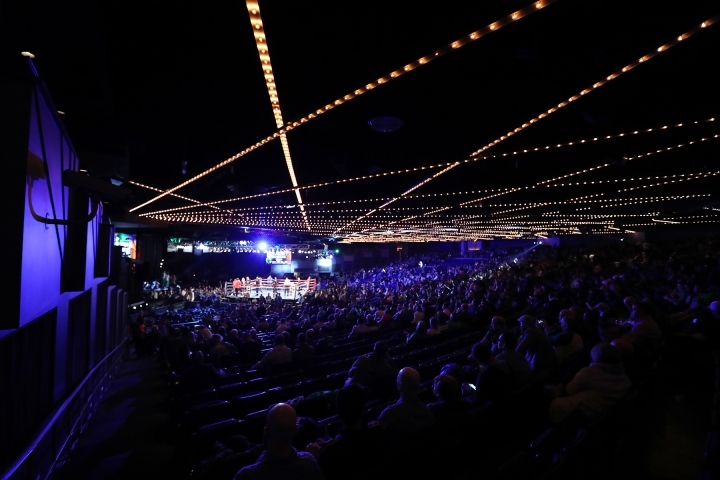 He added that the new date isn’t too far ahead, and that his team has been informed about possible changes around two weeks back, "so this doesn’t totally affect my conditioning and sparring," disclosed Villanueva. Zolani Tete (24-1-0, 20 KO) from South Africa has won his last eight fights, including ones against former world champions Juan Carlos Sanchez Jr. and Paul Butler. Villanueva, on the other hand, has 31 fights on his record, losing only once to McJoe Arroyo for the IBF super flyweight world title last July 2015. The fight takes place at the Manchester Arena, Manchester, Lancashire, United Kingdom. IN OTHER NEWS: The British Lionhearts secured a 3-2 victory over the France Fighting Roosters tonight (Thursday 6 April 2017) in their top-of-the-table World Series of Boxing (WSB) clash at York Hall in London. Wins for the three homegrown boxers, Galal Yafai, Peter McGrail and Conor Loftus secured victory in the match dubbed ‘Le Boxing Crunch’ to guarantee the British team a place in the next phase of the competition. The Lionhearts will face Morocco Atlas Lions in two weeks in the final fixture of the group stages but are already guaranteed to finish the regular season top of Group B. The evening began with another solid performance from Galal Yafai who sent Martin Molina to the canvas three times en-route to a unanimous win at light-flyweight. France’s Nizar Trimech evened-up the scores with a narrow split-decision win over one of the Lionheart’s overseas selections, Zoltan Harcsa of Hungary, in an excellent middleweight contest. Liverpool’s Peter McGrail restored the Lionheart’s lead with unanimous win over Samuel Kistohurry in the bantamweight contest to make it three wins from three for the season. McGrail said: “It was not my best performance but the win is the win. Maybe I am a bit of perfectionist but there were times when I did not feel I boxed my best but I know I did enough to win. It fell to Leeds’ Conor Loftus to ensure the British team won the match as he overcame France’s Amzile Hassan in a bruising light-welterweight contest to give the Lionhearts a 3-1 lead on the night and ensure the Lionhearts will win Group B of the WSB. An all Croatian super-heavyweight contest saw Alen Babic secure a unanimous victory for the Roosters over his compatriot Joesp-Bepo Filipi to ensure the match finished 3-2.